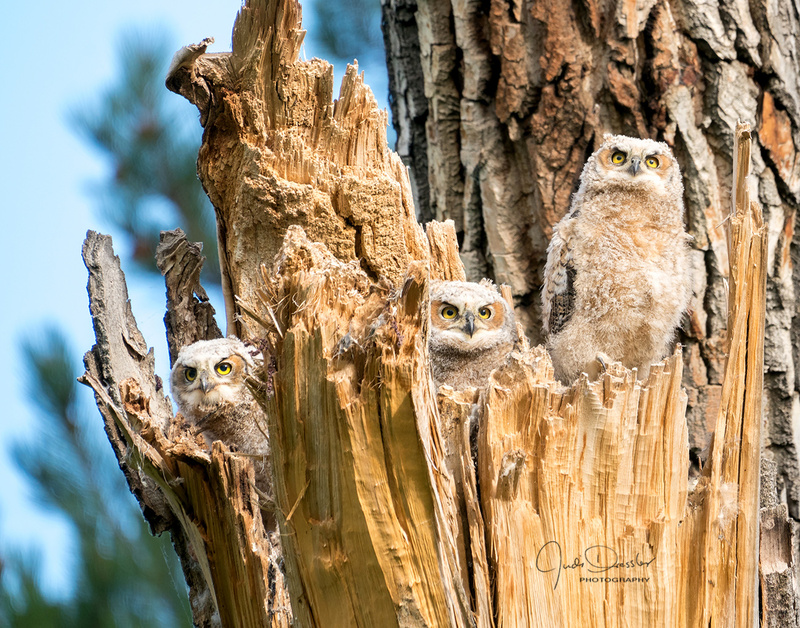 These three Great Horned Owl babies are getting close to fledging, but aren’t quite there yet. They often flap their wings, especially when they see mom or dad coming with food and get excited. Most of the time they hide down inside the nest, but on this day I was lucky to have all three of them looking out of the nest together!